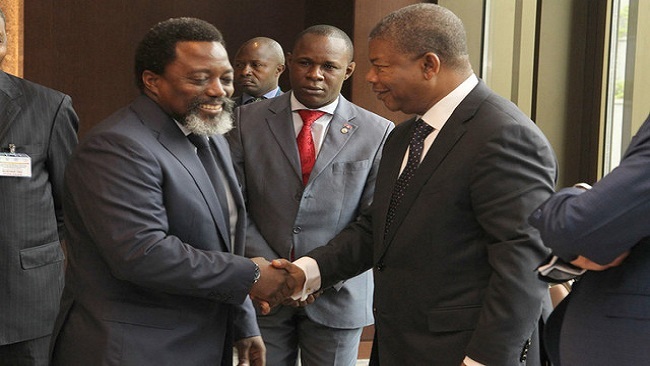 Amid a fresh wave of civil unrest in the Democratic Republic of Congo (DRC), the international community must question its confidence in President Joseph Kabila to achieve stability in a turbulent region. He has been at the helm since he took over as president in 2001 after his father, Laurent, was assassinated. The young Kabila ruled for a transitional period until 2006, before winning two elections. He is now in his seventh year of what should have been just five years of his second term and is constitutionally barred from standing again. But he has remained in office after his mandate ended in late 2016. This, as the country awaits a long-delayed election. The delay has sparked deadly protests. While Kabila cannot legally stand for a third term, the opposition is concerned that he might. Fears among opposition and church leaders have been further fuelled by Kabila’s appointment of three new judges to the constitutional court. Two are well-known allies. But Kabila has no legitimacy and his authority is disintegrating. If the elections are delayed again there’s a real possibility that central Africa will slide into violent conflict once again. The armed violence is likely to be bloodier than in the past due to the number of fragmented localised groups aiming to grab their slice in one of the world’s most resource-rich countries. If the international community wants to avoid another major armed conflict on the African content – in addition to the outstanding conflicts in Libya, Nigeria, Somalia and South Sudan – urgent action is needed to negotiate with Kabila for his own peaceful exit before the country slides back into full-scale armed conflict. In the wake of Kabila’s refusal to cede power, the security situation has deteriorated. At least 10 of Congo’s 26 provinces are in the grip of armed conflict. This has forced over two million people to flee their homes, 800,000 of them children. The total number of internally displaced people is estimated to be 4.5 million while refugees are flocking into Uganda, Tanzania, Angola and Zambia. The security situation in the DRC is dire. As the violence in Kasai and eastern parts of the country intensifies, escalating conflict in south eastern Congo looks set to continue. More than 70 rebel groups are estimated to be operating in the country. They are all variously involved in skirmishes with the army or, more commonly, prey on civilians. This in turn creates a tangle of ethnic and tribal grievances for warlords to exploit. In 2012, the M23 rebel movement briefly took the city of Goma. They were eventually thrown out by the Congolese army, supported by the UN. But the current violence in Kasai is threatening to overshadow even that disaster. In August 2017, for example, the “dead city” movements ensured that significant parts of the country’s urban population went on strike. Some reports have suggested that more than 3,000 people have been killed since the start of 2017. More than 33,000 Kasai residents have fled into Angola. It has been suggested that the Bana Mura- a government sponsored militia – was behind the violence. Last year major fighting occurred between Twa and Bantu populations in Tanganyika province. And as the year entered its last quarter, Uvira, on the outskirts of Lake Tanganyika, was the site for fighting between the rebel Yakutumba militia and government forces. Government forces fled and the rebels would have taken the city had they not been repulsed by Pakistani peacekeepers. Despite a failure by the Yakutumba militia to take Uvira, it was a reminder of the level of dissatisfaction rising in the east, since the end of the Second Congo War in 2003. The rise of rebels operating in the east means violence could potentially spread to Kivu and beyond. In 2017, presidential and legislative elections were delayed despite the Catholic Church reaching a deal with Kabila. The political crisis was further complicated by the death of long-standing opposition leader Étienne Tshisekedi later in the year. The election planned for December this year is unlikely to bring together the various groups or solve the outbreak of violence in the country. The most likely candidate with the perceived ability to bring together the different groups is Moïse Katumbi. He has succeeded in rallying together opposition parties into a coalition backing his candidacy – an impressive feat in a country as fragmented as the Congo. He also has by far the best broad plan to reconcile the country, which is what the country needs if the fragile peace is going to hold. But the country’s attorney general announced recently that Katumbi may not be eligible to stand in presidential elections because he held Italian citizenship from October 2000 until January 2017. Under Congo’s constitution, its nationals cannot hold dual citizenship and have to petition the government to regain their citizenship if they take up a foreign nationality. But the provision, however, is loosely enforced and many prominent politicians are believed to have second citizenships. Kabila’s time in government has shown an inability to bring together the various ethnic groups and to control the growth of dissatisfied rebel groups. This is despite the fact that the DRC has the world’s largest UN peacekeeping force, numbering 18,000 blue helmets, who try to enforce a measure of calm in the east of the country. Botswana’s President Mokgweetsi Masisi has said that he hopes to see a commitment from Kabila to leave office at year’s end. More African leaders need to acknowledge the gravity of the crisis and apply pressure on Kabila through existing African Union mechanisms.